About a month ago, a new book was published which aims to show how Akira Kurosawa’s Seven Samurai functions and why the film has been so extremely influential. I took a look and here is my report. Everything I Know About Filmmaking I Learned Watching Seven Samurai is a brilliant title for a book and one that grabs your attention immediately. The book was written by Richard D. Pepperman who has taught film arts at various universities and institutions, and who has also worked for half a century as an editor, postproduction supervisor and consultant on features, documentaries, industrials, music videos and commercials. This is not Pepperman’s first book on filmmaking, as he has previously written such titles as Setting Up Your Scenes: The Inner Workings of Great Films, Film School: How to Watch DVDs and Learn Everything about Filmmaking, Illuminations and The Eye Is Quicker. The premise of the book is intriguing, and it could perhaps be best described as a commentary track in the written form. 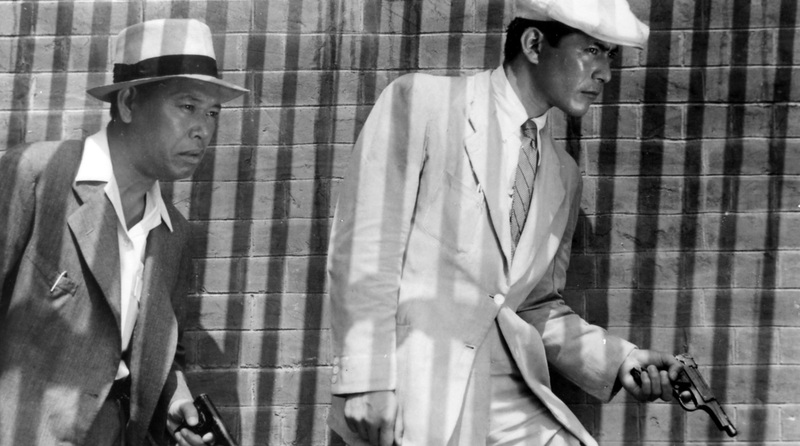 Pepperman moves through the film, scene by scene, explaining what is happening and what techniques Kurosawa has used to tell the story. The discussion covers both the technical aspects of filmmaking as well as story techniques and takes altogether 160 pages, plus various forewords, appendices and a pretty good index. As it covers a 207 minute film, the book does go into fairly good detail in this space. For chapters, Pepperman follows the chapter divisions in Criterion’s edition of Seven Samurai. Each chapter consists of shorter sections that include a description of what is happening followed by a section titled “Lesson learned” where Pepperman explains why and how things were done as they were. This structure is repeated throughout the book, and the text is accompanied by very good, if small, screenshots which must in total number at least three hundred, as there are between one and five on just about every page. It is safe to say that this is not your typical book. To better illustrate what the contents are like, here is an image of pages 28 and 29 which cover one of the most memorable scenes in the film (click to enlarge). Do also note the shape of the book here — this is a spread of two pages. In other words, the book is much wider than it is tall, making it almost film shaped, even if Seven Samurai itself was not a widescreen film. The shape works really well too, and together with the high quality paper which is used (and for which the scan above does no justice), the book is an altogether pleasant object to handle. Unfortunately, there are some problems with the content. My main issue would be the overall lack of academic rigour, which I think affects the discussion quite negatively. 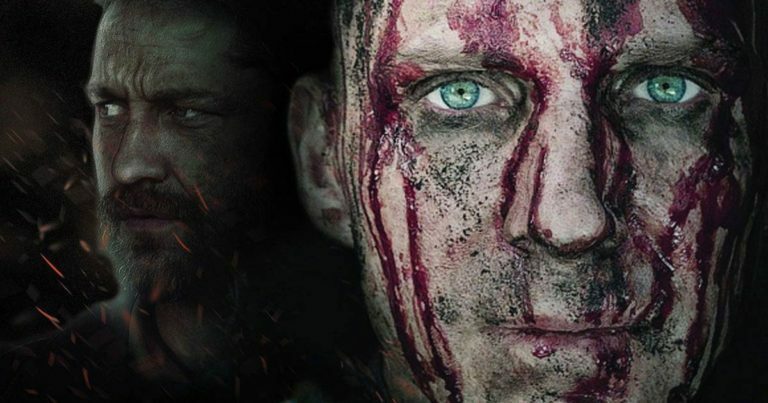 The most obvious of these is Pepperman’s use of his two main sources for the discussion, which are the latest Criterion release of the film and the screenplay translation by Donald Richie published in 1992. Pepperman acknowledges that this version of the screenplay was “(more than likely) constructed by way of viewing a ‘finished’ presentation of one of many shortened versions”, but he still makes the mistake of using Richie’s rendering as a starting point when discussing the film’s transmission from the page to the screen. This, in many instances, leads to situations where Pepperman discusses the changes Kurosawa appears to have made to the story during filming or editing, while the more accurate explanation is that Richie’s screenplay (which was largely based on the 160 minute international release) is simply not an accurate reflection of what Kurosawa and his crew were working from. 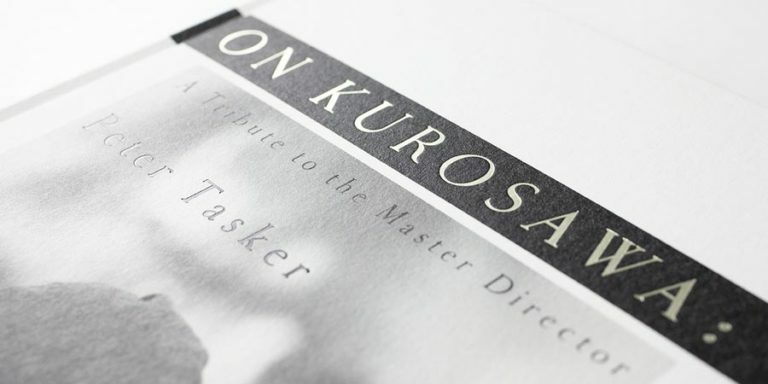 While the original screenplay went through several iterations and there probably is no definitive version in existence (as also noted by the author), the book could have been better served had someone for instance taken the Japanese screenplay freely available at the Akira Kurosawa Digital Archive and translated it for Pepperman. This insistence on close reading the Richie translation and at times also the Criterion subtitle translation as if they were the film proper, also leads to situations such as when the author is speculating about the various meanings of a word which, indeed, exist in the English translation, but are not covered by the semantic range of the original Japanese term actually used in the film. This could be less problematic in another type of a book, but in a work which is not so much an interpretation of a film but a discussion of how to construct a film which can be interpreted, Pepperman’s methodology in these instances feels rather out of place. The text is also at times somewhat challenging to read and could have done with more editorial interference. 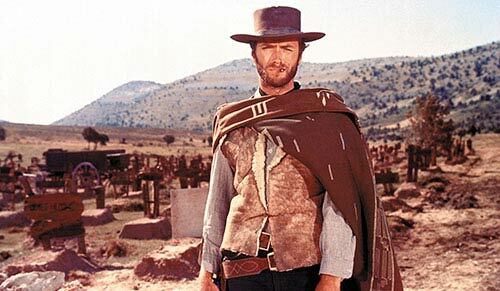 It may be that as I am not an aspiring filmmaker I am not the book’s primary target audience, but it seems that many sentences and paragraphs would be just as difficult to read if I did attend film school — it is not a question of terminology as much as it is an issue of somewhat weak delivery. Another area where the book could have benefited from an editor’s hand is the use of abbreviations. I really don’t know what is going on there, but just about every time the book mentions a long shot it is followed by “(LS)”, a fade out is immediately followed by “(FO)”, extreme close ups are followed by “(ECU)”, and so on. These abbreviations are therefore primed, but as far as I can see they are never actually used on their own. You can have two paragraphs following each other, in both of which fade in is followed by the bracketed “(FI)”, instead of the latter just using “FI”. What the purpose of these bracketed abbreviations is I therefore cannot really understand. And while on the subject of notation, it also took me about half the book to realise what the symbol of a white triangle signifies. Now, I may be a bit slow, but a simple explanation at the beginning of the book would have made my experience of reading the book better. It also took me a while to realise that what I thought were image captions are actually an integral part of the text. Despite these issues which make the book less accessible than it should perhaps be, Everything I Know About Filmmaking I Learned Watching Seven samurai is a fairly interesting read. 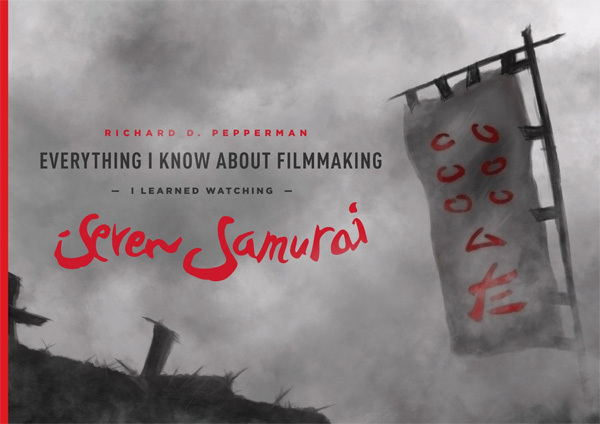 I cannot say that I learned much about the art or craft of filmmaking to be honest, but if you count Seven Samurai among your favourites, I would say that Pepperman’s book is well worth a read. For more casual viewers, both the detailed subject matter as well as the way the content is delivered may be too much to really warrant a recommendation. The very reasonably priced Everything I Know About Filmmaking I Learned Watching Seven Samurai has been published by Michael Wiese Productions and is currently available from well stocked bookstores, including Amazon.com and Amazon.co.uk.